Bitoasis.net focuses on the Arab world to provide the best resource of BTC in the region today. The website is a hybrid between a BTC wallet and an exchange as they provide exchange services and storage as well. Today, we will be looking into the website’s features, how to create an account, what to expect of them and generally have an idea on how they can be of use to you. Without further delay, let’s talk about that! What’s awesome about this website is that they have been providing BTC services to the Arab world since 2015 and continues to provide great service to their clients up to this date. It is rare to see Arab-based websites that cater to BTC trade, but as we all know, this region is always open to new innovations and is the leading region of investors. The company behind the website is known as BitOasis Technologies FZE, based in the Dubai Silicon Oasis Authority, Dubai, United Arab Emirates. The physical address of the website is at DGFLEX-G078, Dubai Silicon Oasis, Dubai, G078, UAE. Just recently this year, they started to support Ethereum and verified users are now able to purchase the cryptocurrency through their website. 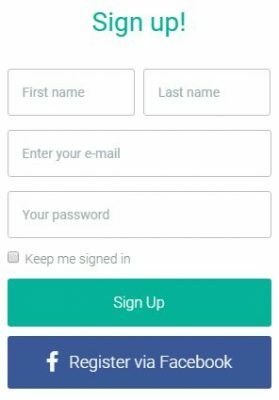 Signing up for an account is as easy as visiting their website and clicking on the Sign-Up button located on the upper left-hand side of the website. All you need to do is provide your first and last name, along with an active email and password for the new account you want to create. The next step would be the confirmation link sent to the provided email address. After this has been clicked, you will be redirected to their website and asked to provide a valid phone number for text verification. The verification process is easier compared to some websites that will take forever to finish. At the time we created an account, we did not get verified right then because the verification line is so long that the queue has reached seven days before an account is completely verified. Please be advised that basic account holders have a limit of 400 AED per week for wire transfers and credit/debit card payments. To increase this deposit limit per week, the user needs to complete the verification process. 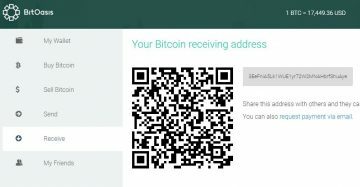 We would like to inform you guys that everyone from around the world can create an account with Bitoasis.net and use the website as their BTC wallet to receive and send digital currencies around the world. But only users from the United Arab Emirates, Saudi Arabia, Kuwait, Bahrain, and Oman are only able to access the exchange to buy and sell digital currencies. One of the most important features that a website should have is the Two-Factor Authentication especially if that website handles digital or fiat currencies. Here at Bitoasis.net they also have a multi-signature feature that increases the security level of all transactions happening on the website. You can read more about this awesome added feature of this website here. How does a regular transaction work here at Bitoasis.net? It’s really simple actually; it’s like buying a can of soda from your favorite vendo machine! You get your money on the website, then it spits out the cryptocurrency you wanted to buy. Here at Bitoasis.net, they offer BTC and ETH for AED prices. You can, of course, choose to go with USD if you want to. At the time this review is being written, the current price for 1 BTC is at $17,605.26 and has been steadily going up for the past five months. The process is simple; you purchase a voucher with the desired AED amount. After the voucher has been chosen, you will then be redirected to the payment tab where you pay for the BTC voucher. After the payment has been received and confirming it, your available balance is updated with the purchase and at this point, you are now able to redeem the voucher for the current price of the BTC exchange. Since we are not from the Middle-East, we were unable to actually see the exchange market that they are offering their audience with. What we do know is that they do not have a trading platform available here and it’s just an exchange purely made for an exchange of Fiat currency to digital currency. There are no listed fees on how much percentage they got from their listed BTC but you do not have to pay additional fees if you want to purchase or sell BTC through the website. Since we are unable to access the trading part of the website itself, we are unable to provide you guys with the deposit and withdrawal fees. All we are able to confirm is that the website accepts BTC deposits and withdrawals. Withdrawal fee for BTC starts at 0.0004 BTC up to 0.005 BTC. They claim that in most cases you are able to ask for it to be faster, but we cannot confirm that. If you guys have any idea on how much the withdrawal fees are, please do let us know in the comments section below. Quite sad since they only have an email customer service channel wherein their customers are able to reach them from Sunday to Thursday, 9:00 AM to 5:00 PM through help@bitoasis.net. The website is clearly one of the exchange websites that do not have any trading platforms in the website for BTC, Fiat, or Forex trading. What’s great about Bitoasis.net is that they offer a clear service that everyone understands, and that is the straight trade between Fiat and BTC for their own specific price. The only problem that we found out was that their FAQ’s wasn’t really that helpful when it comes to answering regular questions like the withdrawal fees, deposit fees and BTC to fiat conversion rate. All-in-all, we are unable to provide a concrete conclusion on the website since we are unable to access all its features. But as far as what we’ve seen with Bitoasis.net, they are a great exchange website with an easy-to-understand design. I sent them many times regarding my case . I can’t access my account due to technical problem . there is no proper feedback from their side . anyone know their new office here in Dubai ? 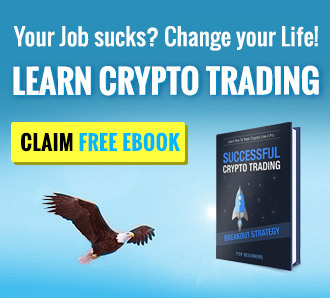 I have been investing/trading in cryptocurrency for more than 2 years in bitoasis and etoro. from my experience bitoasis has the best rate. it is reliable website that you can relay on. as mentioned it gives the users bitcoin wallets and trading. Compare to the leading platform Etoro they take a lot of percentage for sell/buy actions. hi there its really a very good platform for the trading for bitcoin and ethereum but 1 thing is very bad withdrawal of your cash coupons , they will take more than 10 day to send your cash back which is so annoying ,first you receive email withdrawal will take 4 working days then after 4 working days they will use your more 3 days more then deposit in your account that is really too much irritating to held your money in the air u can’t trade or buy anything.